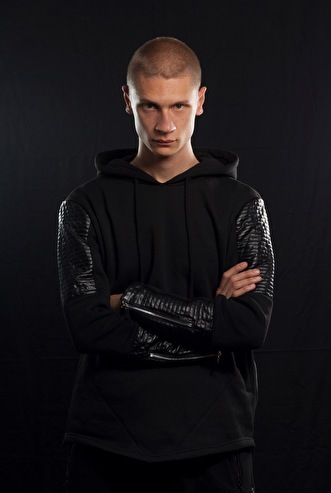 This Polish artist Regain is allready leaving his marks in the hardstyle scene. Regain's experimental raw sound is recognizable because of his demolishing kicks, eerie atmospheres and powerfull vocals. In 2013, he signed with Heart for Hard sublabel: Indus3. Right after his first release, he played in a large venue in Belgium and later at some of the major events/festivals in the harder styles scene. His earlier releases were "Be Remade", "Insane", "Bathed in Blood. At the end of 2014, he released his track "Push it to the Limit" on the main label of Heart for Hard, which reached an amazing #1 position in the Hardstyle.com charts. Starting 2015, he pushes beyond limits and this undeniably talented artist will keep delivering you with more of his hardstyle productions. Great set at Loudness mate! Pusing to the facking limit! Wow! Your track: Insane, its a amazing raw track! Love it! Maakt dikke tracks, draait goede sets en man man man wat een energie! Prachtig om te zien! 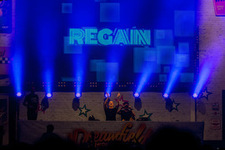 Radical Redemption Vs.­ Regain is one of the sickest sets i have witnessed ! ﻿Beste raw artiest tot heden! Geen enkel setje heeft tot nu toe teleurgesteld!